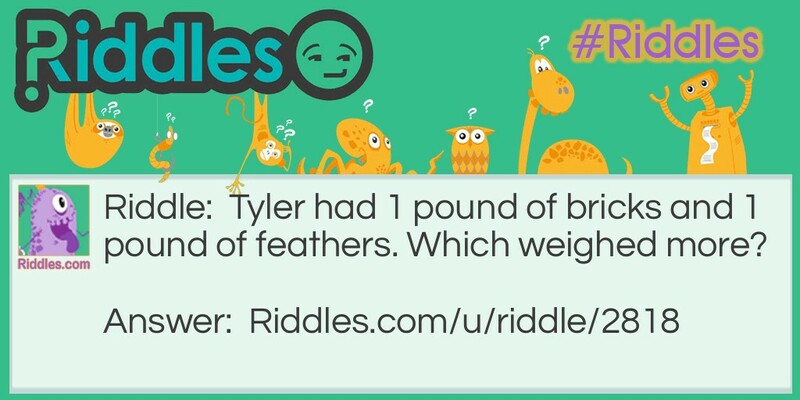 Tyler had 1 pound of bricks and 1 pound of feathers. Which weighed more? Neither because they were both 1 pound!!! Bricks And Feathers Riddle Meme with riddle and answer page link.